Google Hybrid Maps Downloader is a tool that help you to get small tile map images from Google Maps. All downloaded small images are saved on the disk. You can view downloaded maps by Map Viewer Or you can combine them into a big BMP map. If you use Tracky or some other GPS softwares on your PDA, Google Maps Downloader is helpful for you to download cache files on your PC. Google Hybrid Maps Downloader is easy to use. Google Hybrid Maps Downloader can get small tile map images from Google Maps. 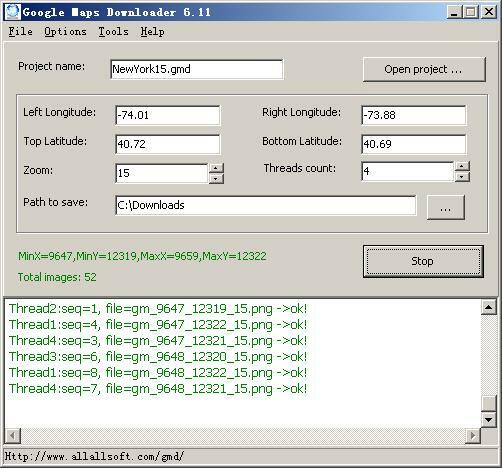 Google Hybrid Maps Downloader is a shareware, for trial version, you can not download high precision images (For trial version, the max zoom level is 11; for registered version, the max zoom level is 19). When downloading is broken, how to continue it? Open the broken project, do not modify any patameters, then click download, it will continue. Is Google Maps Downloader free? No, Google Maps Downloader is a shareware, you can try it before buy. For trial version, the max zoom size is 11. For registered version, the max zoom is 19. Qweas is providing links to Google Hybrid Maps Downloader 6.532 as a courtesy, and makes no representations regarding Google Hybrid Maps Downloader or any other applications or any information related thereto. Any questions, complaints or claims regarding this application Google Hybrid Maps Downloader 6.532 must be directed to the appropriate software vendor. You may click the publisher link of Google Hybrid Maps Downloader on the top of this page to get more details about the vendor.